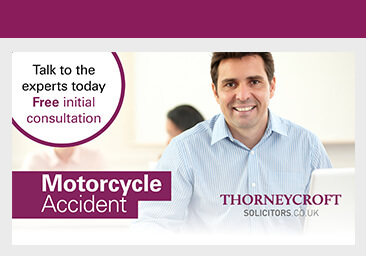 Thorneycroft Solicitors is a leading firm of solicitors, with a dedicated team, that specialises in working on behalf of motorcyclists who want to make a motorbike accident claim. If you have been injured whilst riding your motorbike and it wasn’t your fault, it is important that you instruct a personal injury solicitor with specialist motorcycle accident knowledge to ensure you receive the maximum level of compensation. At Thorneycroft Solicitors, our accident claim experts understand what is involved in a motorbike injury compensation claim and know the importance of understanding the long term physical, social and financial impacts resulting from what can often be very serious injury. 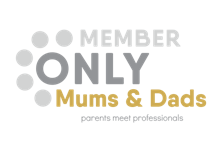 Our specialist team are dedicated to understanding the needs of those who have sustained an injury as a result of a motorcycle accident from both a legal and physical perspective and progress the compensation claim on this basis. If you have been injured whilst riding your motorbike and it wasn’t your fault, we can help you make a claim so that you receive the compensation you’re entitled to. We offer a free initial interview in order to review your specific circumstances and assess the viability of your motorcycle injury claim.